PETER Hagan was supposed to die in the Eastertide of 1968, after doctors discovered a cancerous tumour on the base of his bladder. 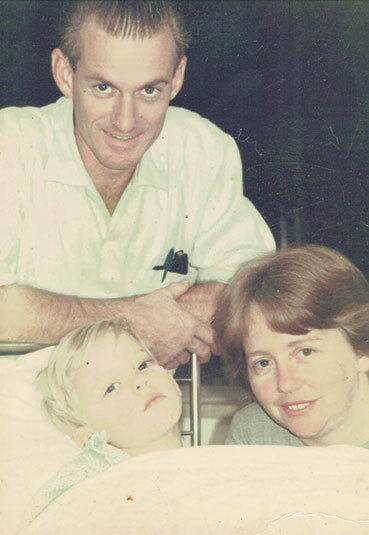 It was April 11, Holy Thursday in 1968, when Peter was flown from Sydney to Melbourne and driven by ambulance to the Royal Children’s Hospital to undergo a repair for a bladder complication. Six days later his mother was taken to a quiet room and told that her four-year-old son – the third of then six children – had a rhabdomyosarcoma of the bladder, a soft-tissue tumour that was more typical in older men. At the time, medical experts said no child in the world had ever survived that type of cancer, and Peter’s was spreading rapidly. Doctors told Mrs Hagan they could keep Peter comfortable enough to live for three months, or they could opt for experimental surgery to remove the tumour with “no guarantee he’ll live the day”. The family took many photos and videos of Peter before the surgery, since nobody thought he would come out alive. He was given the last rites and confirmed by his uncle, a Blessed Sacrament Father, before his scheduled surgery on May 1, the Feast of St Joseph the Worker. The surgery would last five-and-a-half hours, and Peter’s parents were asked to “stay away” from the hospital. They and Catholics from all over Australia, including priests and “squadrons of nuns”, could only pray for a miracle. The dull green doors of the hospital room are as clear in Peter’s mind today as they were the day he woke from surgery. 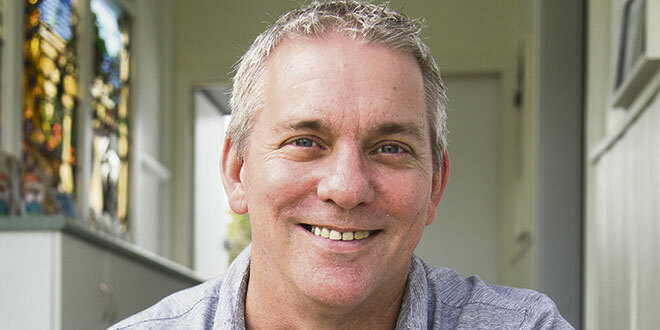 “I remember waking up in post-op, after the surgery, well before I was supposed to and I was facing one direction and I just turned my head and I looked at the doors – and I can still see the dull green colours of the doors – and I looked for not more than one or two seconds and the doors opened and Mum and Dad walked through,” Peter (pictured) said. Moments earlier, Peter’s parents had met with the surgeon, who told them that their son had “come through the surgery with flying colours”. Most of the tumour had been removed, as well as his bladder and prostate gland. He was fitted with an artificial bladder, known as an ileal conduit, created with a section of the small intestine. Peter now had a five per cent chance of surviving and would require intensive and regular chemotherapy and radiation to absolutely clear him of any danger. The chemotherapy treatment lasted seven years, during which Peter discovered one of his favourite sporting teams – the Carlton Football Club. “I remember sitting in the hospital ward looking out the window and I was watching these guys in these blue jumpers with the white CFC on the front of it,” Peter said. “I didn’t even know what AFL was back then. “So I was sitting watching the grand final that year, the 1970 grand final, and it was a particularly famous one because Carlton came from forty-four points down at half-time to win it. One of the doctors who treated Peter post-surgery, Melbourne’s Dr Joe Santamaria, researched into the number of children who had survived a rhabdomyosarcoma of the bladder. 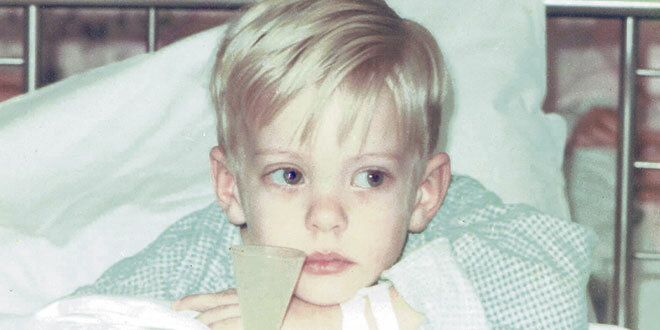 He was able to confirm that Peter was the first child in the world to survive such a cancer. Unfortunately, the cancer left Peter unable to father children, but he feels “pretty blessed” to have three adopted children with his wife. He is overcome with emotion when he thinks of the enormous sacrifices his parents made to keep him alive, and to make the decision to opt for surgery that may not have saved him. “It’s still upsetting now for me to think about the fact they had to face a decision like that, and so many parents still have to face similar sorts of decisions,” he said. But he said he marvelled every day at the sacrifice of Christ on the Cross. “I reflect on other sacrifices that were made for me but of course Christ’s sacrifice was for all of mankind (and) is just almost incomprehensible by comparison,” he said. Peter, who was named after St Peter Julian Eymard, the founder of the Blessed Sacrament Congregation, said his favourite place was before the Blessed Sacrament. “The Blessed Sacrament is a very special place for me, and receiving Communion; I’d rather not eat than miss Communion,” he said. On May 1, Peter will celebrate 50 years since beating the cancer that offered him no odds of living. The Fairfield parishioner and daily Mass-goer attributes his survival to the faith and prayers of others. One of his aunts, a Josephite Sister, recently offered him a relic of St Mary of the Cross MacKillop, which she had since praying for Peter. Today, one in four children diagnosed with rhabdomyosarcoma of the bladder will die, and while the odds are better than Peter’s 50 years ago, he wants to make sure more children live to tell their stories. This month, Peter will hold his first charity event, Bid for a Breakthrough, to raise money for the Royal Children’s Hospital and Peter McCallum Cancer Foundation with the hope of saving at least one child’s life. Bid for a Breakthrough will be held at St Francis Church Hall, 47 Dornoch Terrace, West End, on April 28 and includes a live auction and silent auction. Tickets will cost $20 or donations can be made to rchf-incelebration.everydayhero.com.au/peter or supportingpetermac.everydayhero.com/au/peter-3. 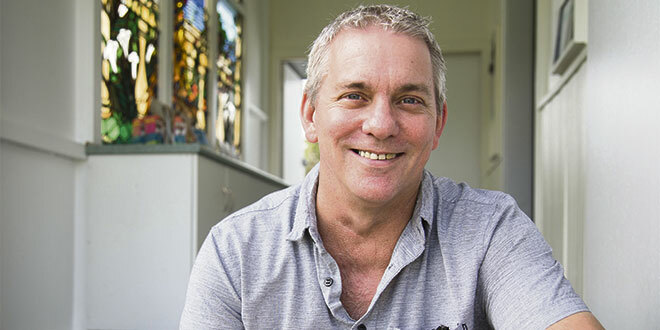 “They told me I was zero per cent when I went in, five per cent when I came out, and if the survival rate is up at the eighty per cent rate now, that’s fantastic, but there’s still so many other cancers and so many variances on this cancer that needs breakthroughs,” Peter said. Contact Peter Hagan on hagan.peter@gmail.com for more information.